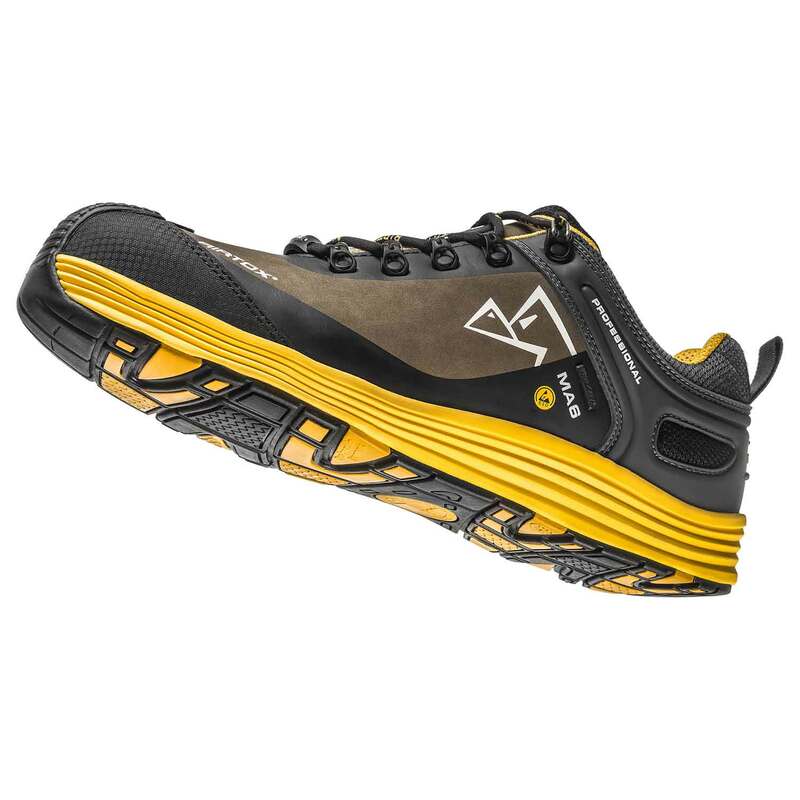 The MA6 is the flagship AIRTOX safety shoe. 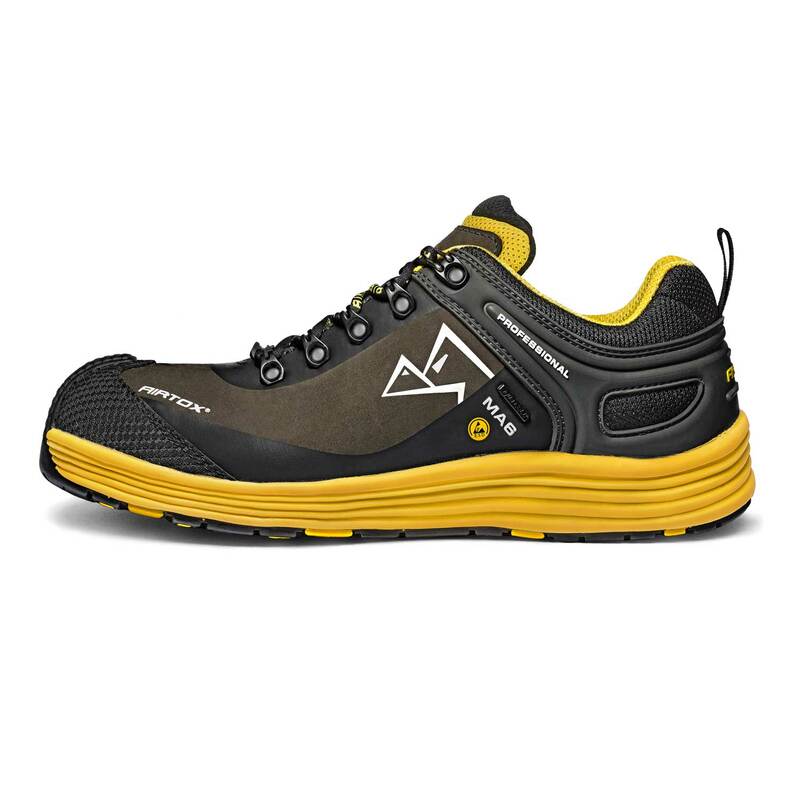 With the AIRTOX MA6 safety shoes, you’ll forget you’re even wearing safety footwear. Packed full of ground-breaking technologies, this style will keep you feeling fresh, light and comfortable whatever you’re doing and wherever you are. The MA6 safety shoes are equipped with the revolutionary Aqua-Cell® membrane to guarantee a waterproof yet still breathable safety shoe that will keep your feet dry. 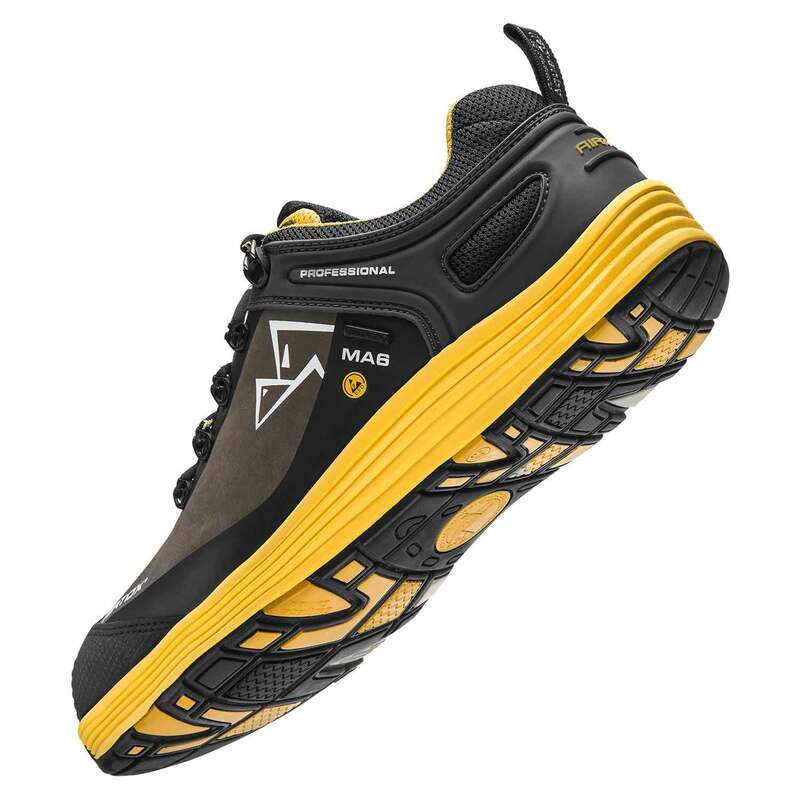 The extraordinarily light and strong WHITELAYER® anti-penetration will keep you safe from nails and other sharp objects while allowing the shoe to remain lightweight and flexible. 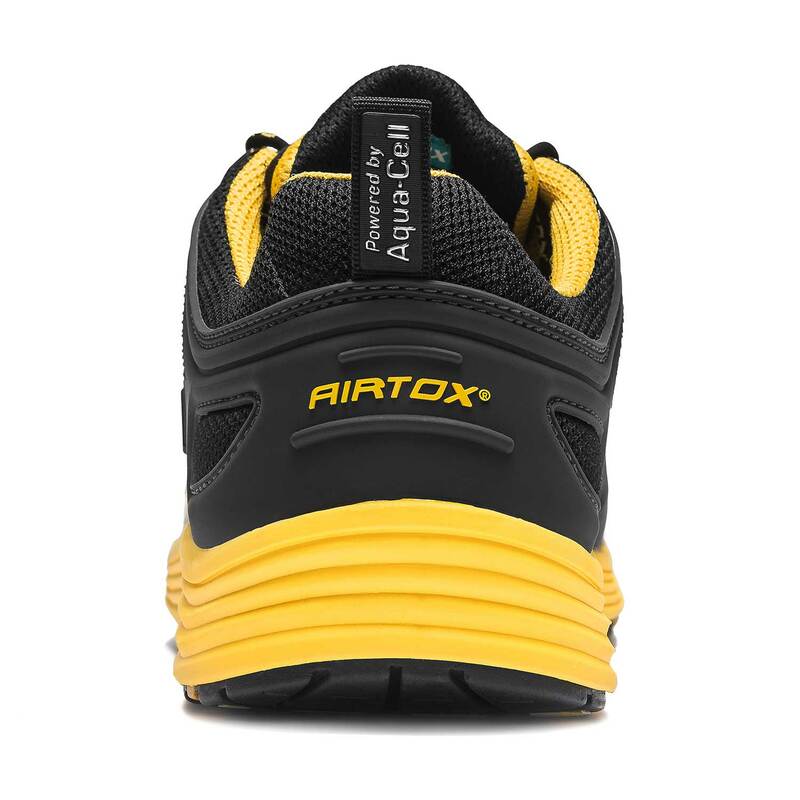 To protect your feet from heavy objects etc., the AIRTOX MA6 safety shoe is equipped with an aluminum toe-cap that is as strong as it is light. Anti-slip features are provided by a thin layer of NRT rubber ensuring acid-, fuel- and heat-resistance (300o C). All AIRTOX MA6 safety shoes are equipped with a Cool&Me® insole that stays shock- and moisture absorbent even after many hours of work. To stay feeling fresh and comfortable, you should remember to wear the right pair of socks to get the most out of the MA6’s breathability. Choose technical anti-moisture socks or thin wool socks, but never thick cotton socks that keep the moisture from your feet in the shoe and may make you sweaty and uncomfortable. Available in one color version: brown leather with black, yellow and white details. 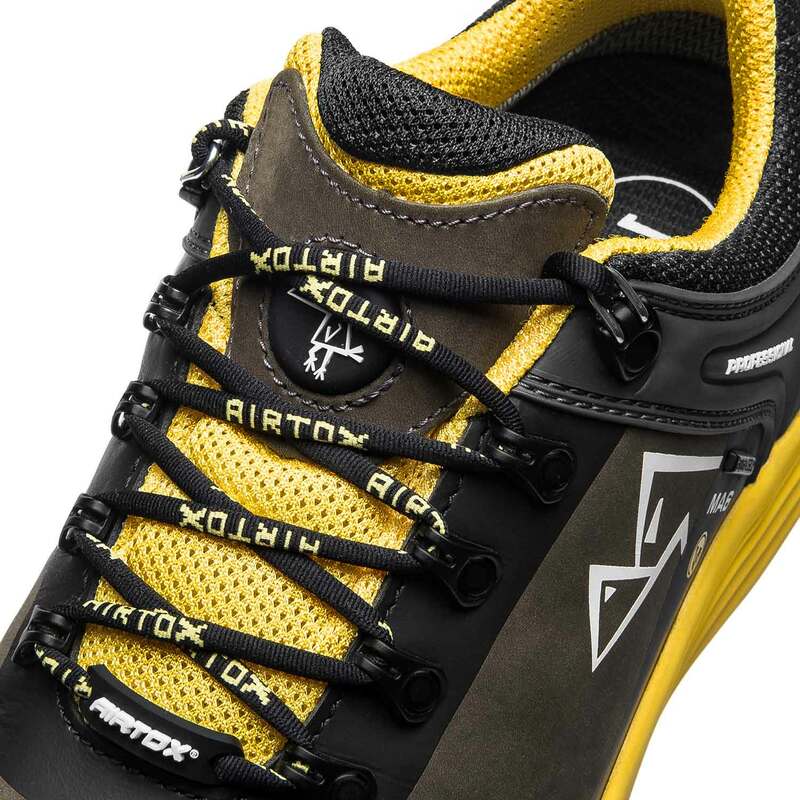 Keep your Airtox in great shape – read our guide on how to take care of Airtox shoes.